This is a standard Model 73, with a Large 2.45" Knob and big barrel. This is a very popular model in the big leagues. Modeled after the Bonds B2K, the 73 is a popular model among thin handle fans that like the "LOCK" feel of the knob when swinging through the zone. The Large Knob acts like a counter balance. Available in Ash or Maple (add $30 for Maple). 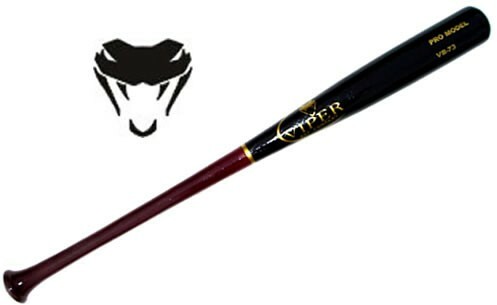 All Viper Wood Bats are hand sanded and double dipped for an incredible finish.